The Internal Revenue Service has designated Form 1099-Misc as the one businesses should use to report payments to contractors or people who are not employed by the business. Businesses must file a 1099-Misc if the total amount paid is at least $600 or if the business makes royalty payments of $10 or more. Businesses and self-employed individuals must report the income listed on 1099s on their tax returns. Businesses use Form 1099-Misc to report various types of payments, hence the “Misc” designation. The form has space for reporting royalty payments, rental payments, prizes you awarded, payments to attorneys, payments to contractors who aren’t your employees and payments of a fishing boat for the sale of its catch. The instructions for Form 1099-Misc provide detailed instructions on how to complete the form, including a list of payments that should and should not be reported. You must provide copies of the 1099 to both the contractor and the IRS. You don’t have to file a 1099 to businesses from which you buy products used in your business, such as office supplies, or for utility payments or rent you pay to a real estate agent or management company. Form 1099-Misc is designed to help the IRS track the income of small-business people, the self-employed and other independent contractors. If you are self-employed and you are audited, the IRS may use information from 1099s to verify your income. If you perform work for someone as a contractor or self-employed person, expect to receive a form 1099-Misc. Depending on your business, you may receive forms from many clients. Report all the income listed on the 1099s on your income tax return. Keep copies of the 1099s in your records, though you are not required to include them with your tax return. When you receive a 1099-Misc form, verify that your name and tax identification or Social Security number are correct and that the amount reported on the form matches your records. If you find mistakes, contact the company that issued the form and ask for a correction. 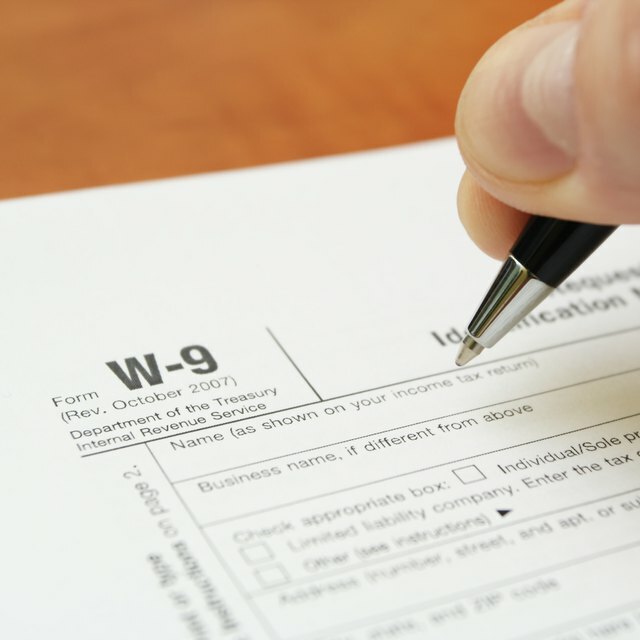 The company may ask you to complete a new Form W-9 to verify that your name, address and tax identification or Social Security number are correct. If you are the company that issued the 1099-Misc form, you should send a copy of the corrected form to the IRS.